Photo courtesy of jackaruteonsports.com. 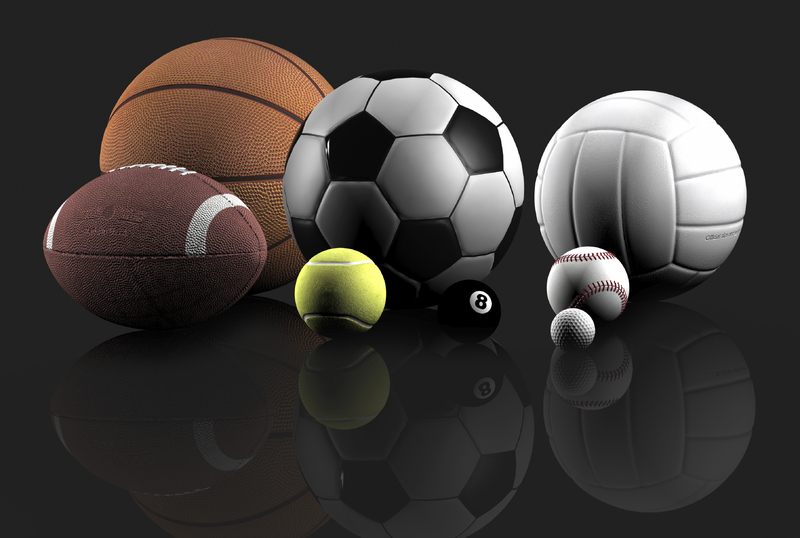 Sports are a universal langauge. -Improve as a writer by practicing every day (Check). -Stay dedicated and reach 1,000 posts (Check). -Get a job at the the Worldwide Leader in sports (very recently checked). I have mentioned before what a pleasure it has been writing on this forum each and every day for the past three years. What started out as a little project transformed into a major part of my daily life. Blogging has been my release from everyday stresses and became almost therapeutic; something that I really enjoy. But the time has come to put TheSportsKraze on an indefinite hiatus. It was meant to be a launching pad, not a destination, and it fulfilled its purpose with flying colors. Now, just because TheSportsKraze is going on a break for the foreseeable future does not mean this is the end. It is the beginning of a new journey as I look to continue towards my dream of being an on-air sports broadcaster. So thank you to each and every one of you for supporting me the past few years. Whether you read the blog, provide constructive criticism of my writing, or just provide motivation in general, it truly means the world to me. Photo courtesy of zimbio.com. 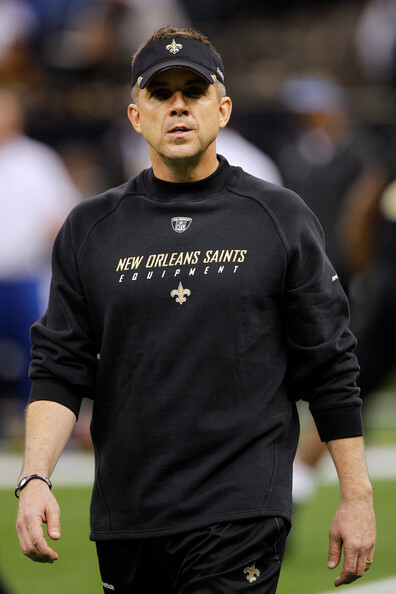 The New Orleans Saints are struggling in the absence of their head coach Sean Payton (pictured above). After two straight losses to non-playoff teams from a season ago, the New Orleans Saints look like a different team from 2011. That offense, which was so unstoppable under Sean Payton, is out of sync, and the defense is struggling without Gregg Williams. In an improved NFC, the Saints appear to be in trouble. Payton was that important to this team and it’s showing. In this weeks power rankings, the Eagles and the Dolphins made the biggest leap, jumping seven spots, while the Bears and Redskins had the biggest fall, tumbling six spots. The Falcons cracked the top five, and the 49ers maintained their number one ranking. Photo courtesy of zimbio.com. Many are talking about the Lions/49ers matchup. 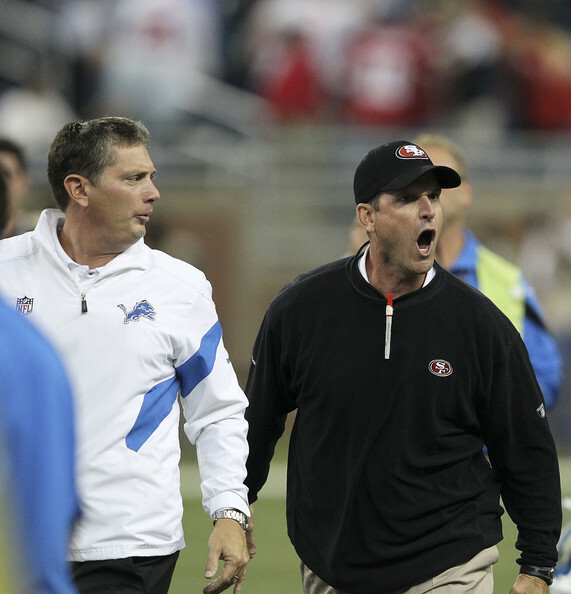 Unfortunately, much of the discussion revolves around the animosity between Jim Schwartz (left) and Jim Harbaugh (right). Week 1 of the NFL season was everything we could have hoped for. Five teams scored 40 or more points. Robert Griffin III performed like a Heisman Trophy winner is supposed to. Peyton Manning showed that playing quarterback in the NFL is like riding a bike for him. And the replacement referees, though far from perfect, did not directly influence the outcome of a game. After Week 1, here is the scoreboard. Photo courtesy of zimbio.com. 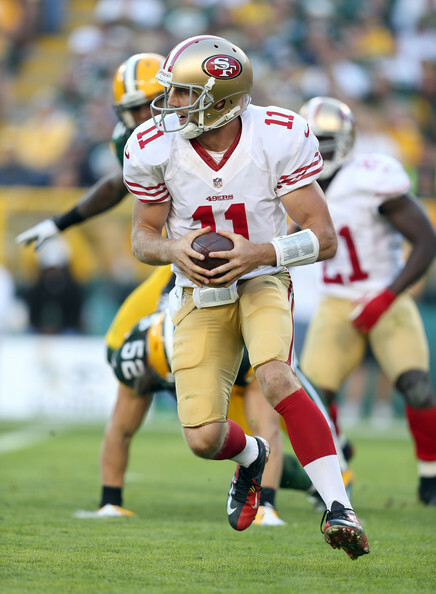 Alex Smith (pictured above) outplayed reigning MVP Aaron Rodgers as the 49ers got a huge victory in the opener at Lambeau Field. Last season, it was Cam Newton who dazzled us all, throwing for 422 yards in his NFL debut. One year later, Robert Griffin III went into the Superdome, threw for 322 yards, two touchdowns, and beat the Saints. It took awhile Washington, but your quarterback has finally arrived. The Redskins will make some noise in the NFC East this season. Griffin was just one of many stories through Week 1 of the NFL season. 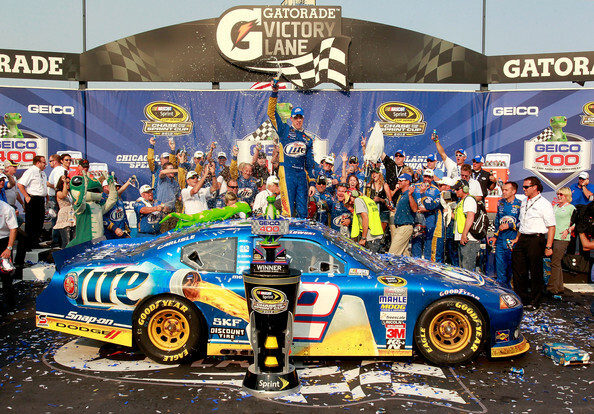 In case you missed it, here’s a quick recap. Taking over this weeks number one spot in the power rankings are the 49ers, who marched into Lambeau Field and beat the Packers. Another team that made a statement was Peyton Manning and the Denver Broncos. 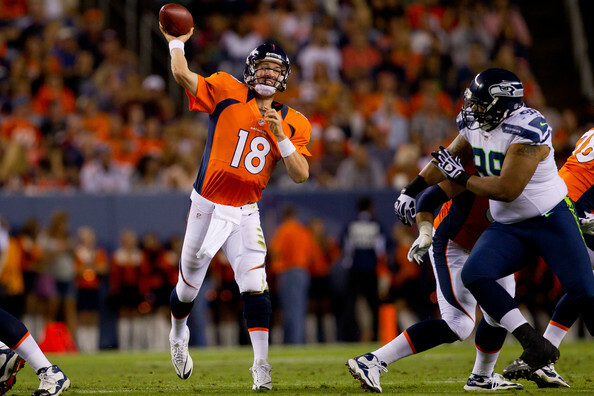 Manning finished 19-26 for 253 yards and two touchdowns in a win over the Steelers. Ah, so much to get to. Where does your team rank after Week 1? Photo courtesy of zimbio.com. 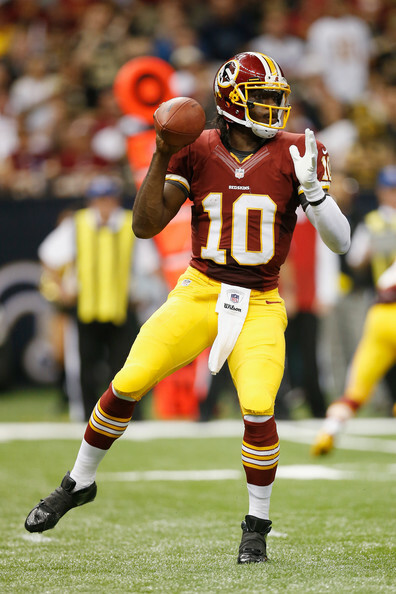 Robert Griffin III (pictured above) made things look very easy in the Big Easy on Sunday. Will he continue to play this way all season? Sports played a prominent role in helping our country cope with the unthinkable terrorist acts that occurred 11 years ago to the day. Our nation holds sports near and dear to their hearts on a daily basis. The USA has grown stronger as a nation since the horrific terrorist acts of 9/11 and sports are still doing their part. Maybe Robert Griffin III is football’s version of Superman. The reigning Heisman Trophy winner put on a debut performance for the ages on Sunday, leading the Redskins to an opening day victory over the Saints. Now sure, one could argue that Matt Ryan put up slightly better numbers on Sunday. Or that Cam Newton threw for 422 yards in his rookie debut last September. Let’s focus on reality though. Matt Ryan has far more experience and an outstanding supporting cast. Also, exactly one year ago, Cam Newton passed for an astonishing 422 yards, but he also tossed an interception, and his team lost the game. With five rookie quarterbacks starting on Sunday, I think much of America forgot just how hard it is to be a rookie quarterback in the NFL. By Sunday evening, everyone remembered after four of the quarterbacks went home losers and tossed a combined 11 interceptions (and just two touchdowns).